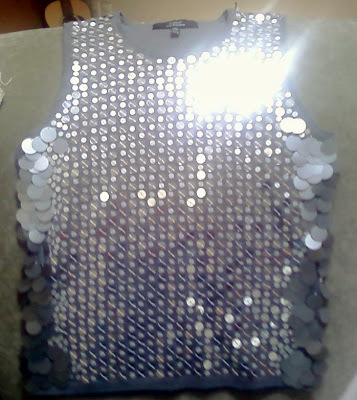 Remember this sweater vest from my recent Garage Sale Finds? What follows is a blatant blogland rip-off. 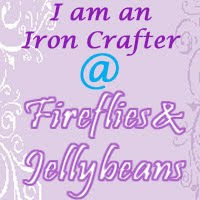 I can’t remember where I saw this, but I liked it so I’m doing one for me. 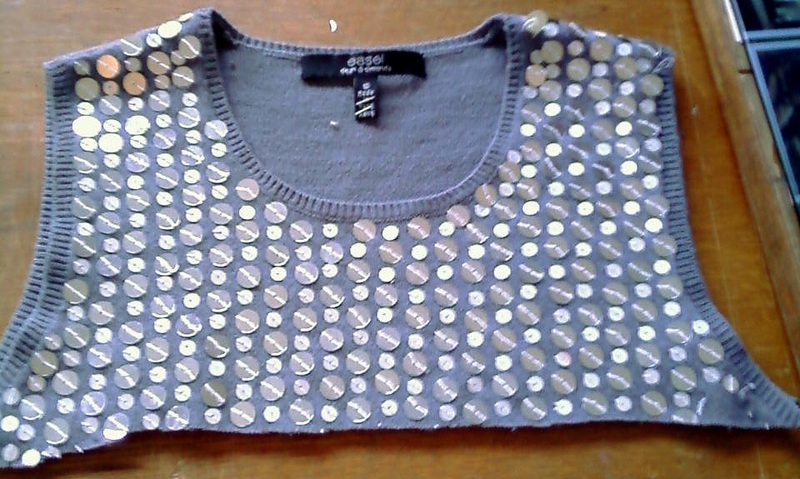 Well, today I was looking for a quick and easy project. I took out my handy-dandy scissors and did this to it. I didn’t actually use this part. I sewed the ends closed on the other part and then stuffed the pillow with some batting I luckily have been hauling around the country with me for the last 10 years had in my stash. Whew! Isn’t clever how I planned for this project 10 years ago?! It’s like I could see into my future and know that I would have need of an extra bag or 3 of batting for a future craft emergency. 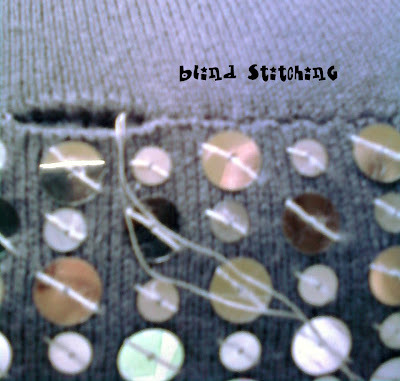 I drew upon my 10th grade home-ec skills and applied the ol’ blind stitch to close up the pillow. 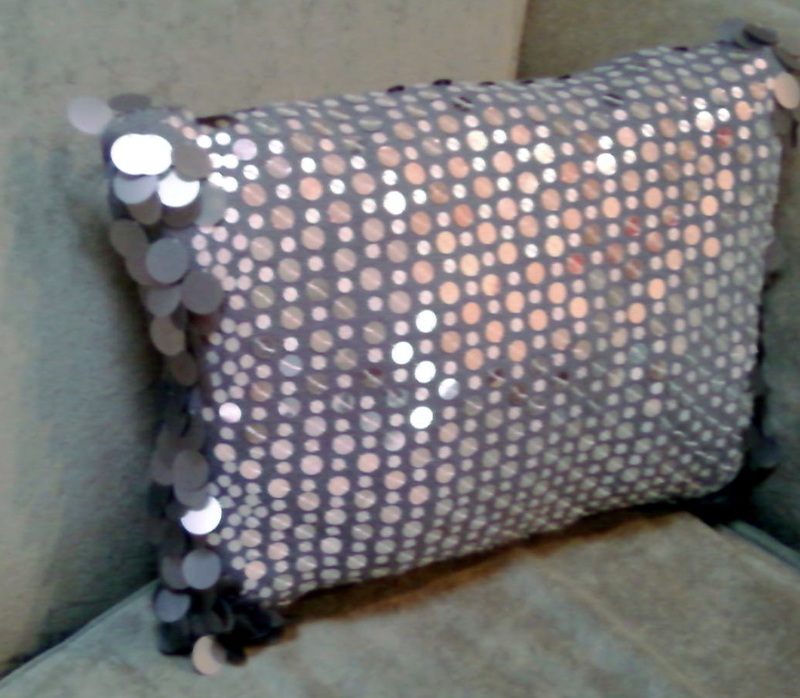 I took some of the large sequins from the part I cut off and filled in on the top where I sewed the pillow shut. Here’s my latest bit of Frouf for my house. 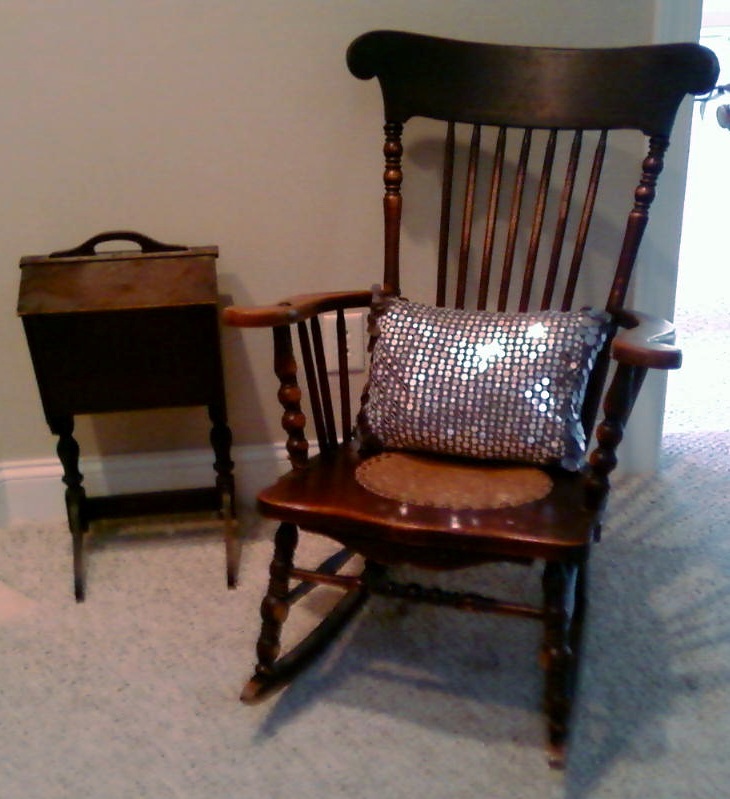 Here she is, Blinging up Grandma Bourne’s rocking chair. I also gave it a whirl on the sofa. I can’t decide where I like it best. If I leave it on the sofa, chances are the Fur Child will add his own furry touches to it. It may go back on the rocking chair.